So here I am at the end of week 5 of my London Marathon training. This week has consisted of 4 runs and two yoga sessions and has seen my weekly mileage tip over the 20 mile mark for the first time. 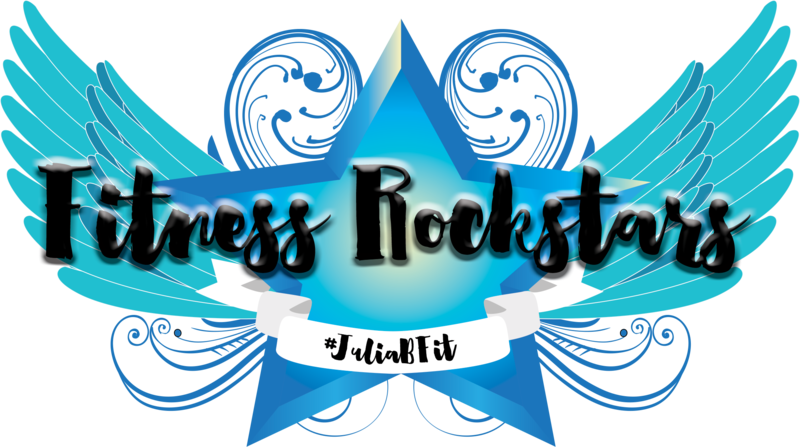 I started the week with Glow Yoga again, doing the Core Flow and Foundation classes on Monday and Tuesday mornings. In both classes we got into some poses which were brilliant for stretching out my muscles which were complaining a bit after the 9 miles last Sunday. On Monday night I made a purchase which I’d been thinking about for a while. I popped into Runner’s Need on the way home to pick up some energy gels and while I was there I bought a pair of compression tights. I’ve read quite a lot about these and how they are supposed to help with recovery after long runs. 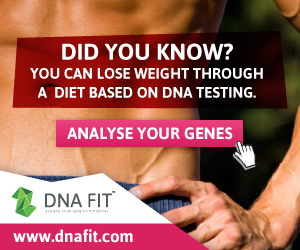 They fit very tightly on the leg and are designed to help the blood flow back to your heart and are supposed to reduce muscle fatigue. Since I’ve had my new trainers my calves have been feeling very tight, despite a lot of stretching so I thought I would invest in these and see if they helped. More about this later. Tuesday night saw me out with the lovely ladies from Boutique Sport for the Boutique Running Club. 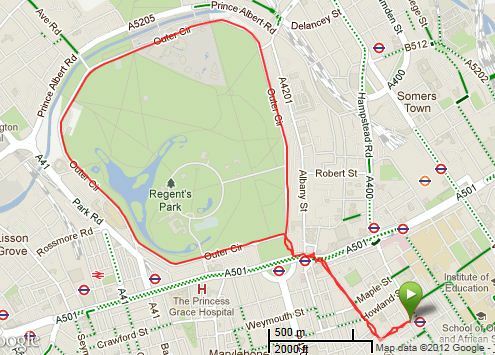 This time we ran the Outer Circle of Regent’s Park – a 4.2 mile loop. I really enjoy running with other people, it always challenges me to run a bit quicker than I would normally. I was delighted when I got home and downloaded my stats from my Garmin and found that I had done consecutive sub 11 min miles. This is a first for me and it shows that I am really improving. 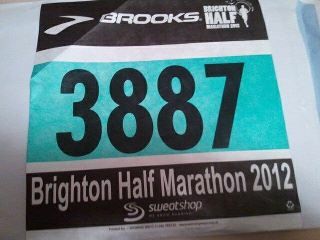 My running number for the Brighton Half Marathon which is now only 4 weeks away. My first half marathon in just four weeks. It’s amazing really, this time last year I wouldn’t have thought that it would be possible for me to be running a half marathon. Fast forward a year and I’m now viewing it as part of in my training, an opportunity to run in another race and most importantly – just the half way mark! I worked from home on Friday which allowed me to go out at lunchtime for a very gentle 3 miler. It was nice to run at a different time of day and to take it easy on my legs. This week I had decided to change my weekend around a bit and do my long run on Saturday. I wanted to try out a route that I’d been planning for a while, running under the Greenwich foot tunnel into Greenwich park. I also decided that I’d try a different running strategy. When I met up with Dawn last week she told me that she’d found that by running slower she was able to keep going and not need to take walking breaks. I thought I’d give this a go and see what happened for me. 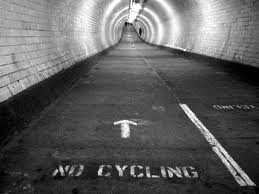 So I set out in my new compression tights and did a few miles around my usual area before heading down to Island Gardens to the Greenwich foot tunnel. I actually really struggled with the slower pace, it felt unnatural to me and harder on my legs for some reason. I will go back to my usual 9mins running, 1 min walking on my long run next week. When I got to the foot tunnel I had to walk down some spiral stairs and then through the tunnel under the river. There were a lot of people about and it was difficult to dodge past them all so I decided to walk through the tunnel rather than run. When I got to the other end it was back up some spiral stairs and out into Greenwich right by the Cutty Sark. 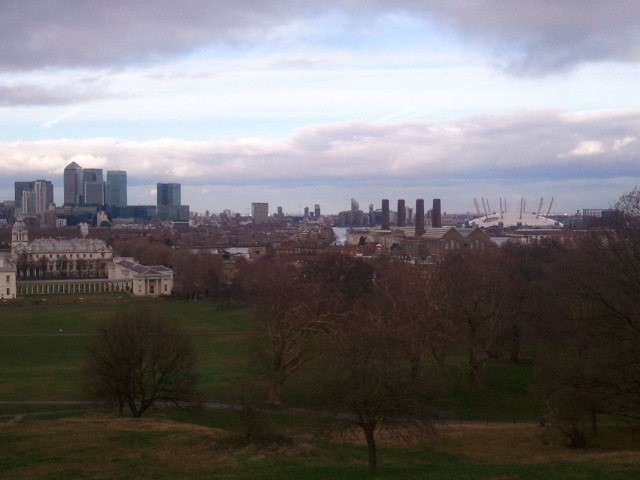 Running through Greenwich town centre was about as easy as running on the Southbank! Lots of people about and lots of crossings to navigate so I was glad to get to the park and some open space. Open space and a really big hill. 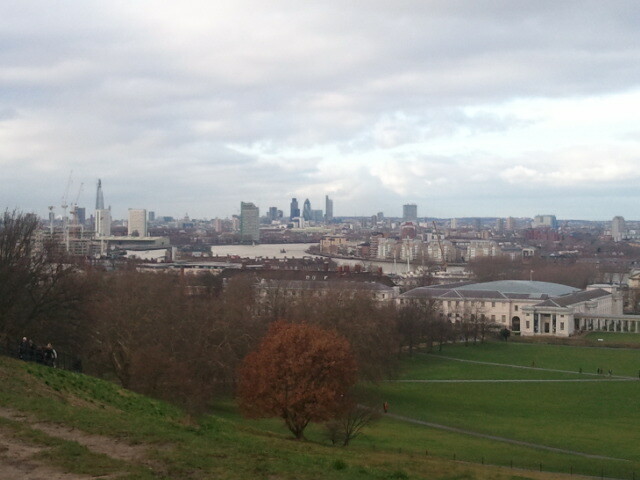 Obviously I know that Greenwich Park is really hilly, I thought it would be a good challenge for me. What I hadn’t accounted for was just how hard it would be to get myself up that hill on legs which had already run 5 miles and which are unaccustomed to hill work. The running became power walking pretty quickly! The hard work was worth it though, there are some great views of London from the top. After stopping to take these photos I then made my way back down again back through the tunnel and across the river. By this point my legs were screaming at me to stop, my pace had really slowed and at one point I seriously considered jumping on the DLR to get me home. But of course I didn’t. I walked for a bit to let my legs recover and then found that I had enough energy to pick up the pace a bit for the final mile. 10 hard miles complete, the furthest I’ve run since October – I was very glad to be home. 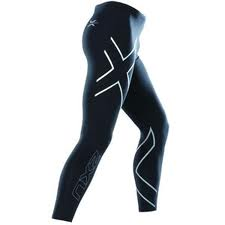 So, did the compression tights make any difference? I always stretch well after a run and yesterday was no different. I also have a recovery milkshake as soon as I get back into the flat. Despite both of these things I usually have some kind of muscle soreness the day after a long run and recently that has especially been the case with my calves. So imagine my surprise to wake up this morning with no soreness in my calves at all, slight tightness in my quads from the hills but other than that my legs are feeling good. Amazing after how they felt yesterday! I walked around a lot yesterday afternoon after my run so that might also have helped my recovery, but for now the tights get a big thumbs up from me. So that’s it week 5 complete. 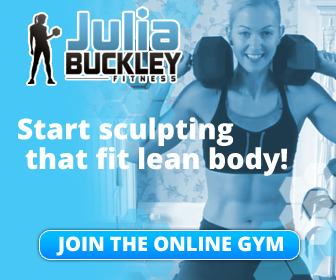 Next week is a step back week in my training plan and I think my body will thank me for it! Previous Week 4 and the first month complete! Next Week 6 done and I’m a third of the way through!